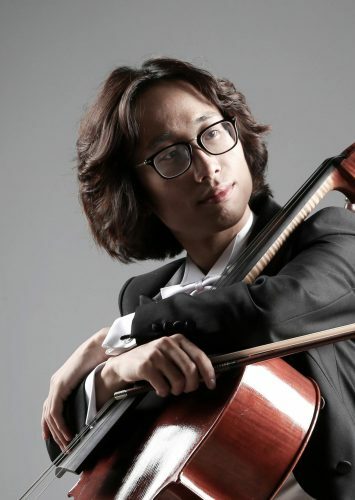 Originally from South Korea, Luke Wook-Young Kim completed his undergraduate studies at UBC, where he received the Catherine-Cooke Topping Memorial Medal for musical excellence. Then, he finished his Master of Music degree as a full scholarship student at UCLA. His teachers include Antonio Lysy, Joseph Elworthy, Eric Wilson, John Friesen, and Kenneth Friedman. Luke participated in masterclasses with renowned cellists such as Lynn Harrell, Janos Starker, Aldo Parisot, Raphael Wallfisch, Paul Katz, and Desmond Hoebig. In the past summers, he attended the Incontri in Terra di Siena Festival, the Aspen Music Festival, and the Early Music Vancouver Programme in which he studied baroque cello under Jaap ter Linden and Tulio Rondon. A new member of the Vancouver Symphony Orchestra, Luke has won various competitions and performed as a soloist with the Seoul Symphony Orchestra, the Vancouver Youth Symphony Orchestra, the Vancouver Symphony Orchestra, the UBC Symphony Orchestra, and the UCLA Philharmonia. He also performed as a guest soloist for the Polish Czestochowa Philharmonic Orchestra, the West Coast Symphony, the Vancouver Metropolitan Orchestra, the Busan Metropolitan Pops Orchestra, and the Busan Neo Philharmonic (Korea). Luke will appear as a soloist with the West Coast Symphony during the 2015/16 season. In March 2015, he was featured as a soloist for Friedrich Gulda’s Cello Concerto, an eclectic work, with the UCLA Wind Ensemble. In addition, Luke has performed chamber music for the Vancouver Winter Chamber Music Festival and the Bridge Musicians International.